The highly effective, completely natural detoxifying agent that can also alleviate diarrhea! The popular detoxifying agent with many additional health benefits in a highly effective form for maximum effects! The ultimate product for cleansing and detoxifying your body that is tailored to the specific needs of hard-working female athletes and can improve your well-being and increase your performance! 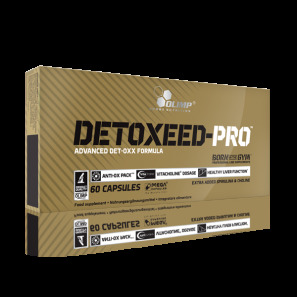 Detoxeed-Pro™ try a complex product that supports liver protection and anti-oxidant properties!